I'm not really into making dessert. It's just not my thing. But when I do put on my baking shoes [or baking hat? perhaps my baking uniform? Hmm..], it's usually because I'm in ABSOLUTE DIRE NEED OF SOMETHING SWEET. STAT. A piece of chocolate will assuage me well enough, but there are just moments where you MUST HAVE something baked and delicious. It's just how the world works. 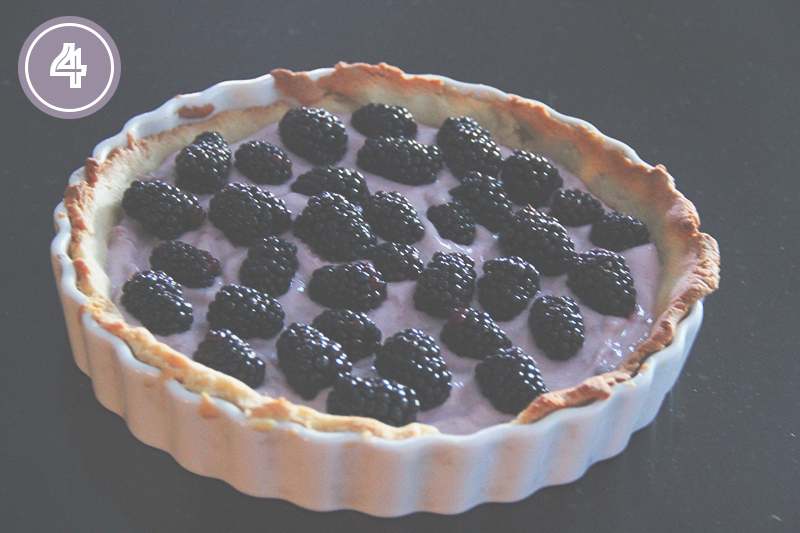 So in one of my recent fits of bizarre dessert rage, I came up with this little gem: blackberry yogurt tart! First things first, I am the only person I know who isn't partial to yogurt. I've recently learned how to hide its more unpleasant qualities and tuck it into recipes where I otherwise might have used something less healthy. This was a total impromptu experiment that worked in a big way. Typically fruit tarts call for cream cheese as a base, but since I'm keeping my dairy supply to a minimum lately, all I had handy was a tub of fat free greek yogurt. Long story short, if you love yogurt, this recipe is absolutely for you! And if you don't, well you'll probably enjoy this just as much! I'm still quite shocked at how well this turned out and how insanely simple it is. Try this baby out one random night this week when you're in need of something sweet! You won't be disappointed, promise. 1. Preheat the oven to 350F. Grease an 8-9" tart pan. Roll out the dough to about a quarter inch thickness, maybe a bit less [I honestly just eyeballed this so no pressure here] and place in the tart pan, gently pushing the edges into place. 2. Dock [aka: poke holes into] the dough with a fork and bake in the oven for 12-15 minutes [if your dough was on the thin side, it may take less, or more if you rolled it out fairly thick]. Basically, once the edges of the crust begin to turn golden brown, it's done! Allow the crust to cool completely. 3. 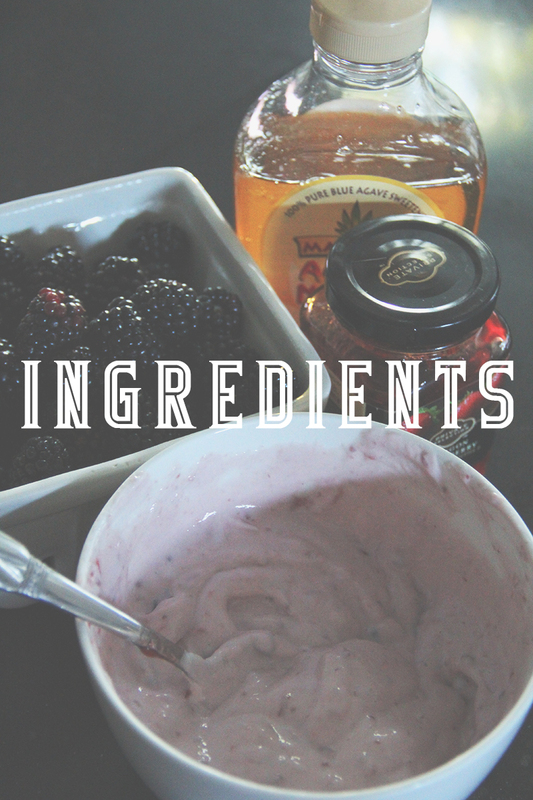 In a small bowl, combine the yogurt, jam and agave. Spread the mixture into the cooled crust.